When it comes to cars, tunnels and rockets, Elon Musk thinks big. The same’s true for his household finances. The billionaire recently took out $61 million in mortgages on five properties in California, four in the Bel Air neighborhood of Los Angeles and one in Hillsborough. The Morgan Stanley loans, signed in the final days of 2018, represent about $50 million in new borrowing. One refinancing on a 20,200-plus square-foot property he bought in 2012 for $17 million turned a $10 million loan into a $19.5 million debt. His monthly payment: about $180,000. The loans show how even the wealthiest people use mortgages to maintain liquidity. Musk, with a $23.4 billion fortune, according to the Bloomberg Billionaires Index, is among ultra-wealthy property owners including Mark Zuckerberg, Ken Griffin, and Beyonce and Jay-Z who have taken out monster mortgages. Citadel founder Griffin stands out, with two secured in 2016 for a total of about $114 million. Representatives for Musk at Tesla didn’t respond to emails seeking comment. Sue Siering, a spokeswoman at Morgan Stanley, declined to comment. Huge mortgages like Musk’s are lending-world unicorns. Across most of the US, a loan falls into the jumbo category (also called non-conforming) once it exceeds $484,350. The definition of a super jumbo isn’t as clear, but for a wealth-management operation catering to ultra-high-net-worth clients they might start in the $2 million to $2.5 million range. “Once you get above probably $10 million, I’d describe it as ‘by appointment,”’ said Michael Blum, group managing director and head of the banking group at UBS Wealth Management USA. More than 230 single-family mortgages of $10 million to $20 million were outstanding in 2018, with 75 per cent taken out since 2013, a CoreLogic analysis of US public data found. More than half were secured by homes in California, said Frank Nothaft, CoreLogic’s chief economist. About 180 were refinancings. Over the years, Musk has used his shares in Tesla to obtain personal loans. About 40 per cent of his stake in the electric carmaker was pledged at the end of 2017, according to a regulatory filing. Musk also inquired with at least one bank last year about a personal loan tied to his stake in rocket company SpaceX, a person with knowledge of the matter said. 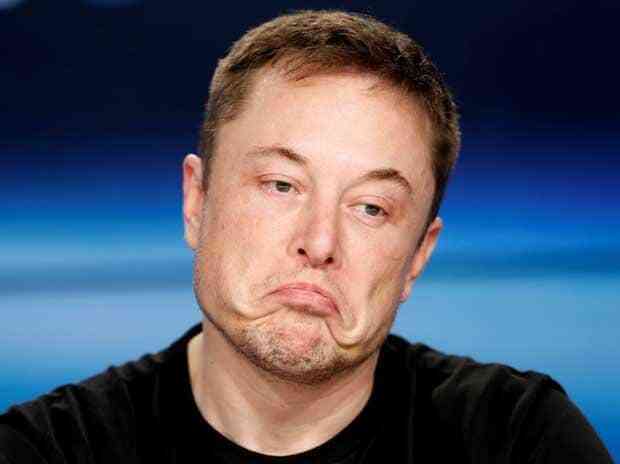 Musk, 47, doesn’t take a salary from Tesla, and he’s repeatedly gone to the market to buy the carmaker’s stock in a show of confidence in the company, which has never turned an annual profit. He recently put one of his Los Angeles-area homes on the market for $4.5 million. The entrepreneur has a wide web of dealings with Morgan Stanley, whose private bank was the lender on his recent mortgages. When Musk pledged Tesla shares at the end of 2017, 55 percent were with the lender. Morgan Stanley, which has a $2.3 trillion wealth-management unit, has tripled loans to high-net-worth individuals in the past five years. Musk has also been a client of the firm’s investment bank, hiring it and Goldman Sachs Group Inc. last year when he considered taking Tesla private. Both were lead underwriters on stock and convertible-debt offerings for the company. Musk’s loans are for 30 years with a fixed 3.5 percent interest rate for the first few years and then adjust based on an index.